Lets face it, international travellers visiting New Zealand are here for the beautiful scenery and outdoor adventure. But many are also interested in the Maori cultural tours in New Zealand. As New Zealand Travel agents, we often get asked where can I find a Maori Cultural tour in New Zealand”? But what does that actually mean and how important is authenticity? Here’s an overview of different Maori culture experiences within the key regions visitors will most likely visit. If you’re time-short, we’d recommend the 50-min guided tour at Waitangi. We did this tour recently and enjoyed viewing the historical treasures at Waitangi. There’s also an an interesting commentary on the history of the Treaty. Many of the guides descend from signatories to the Treaty and that’s pretty. If you’re really time-strapped, there is a 35 min cultural performance, or you can combine the two. Also available is an evening Hangi and concert combo. View more details here. 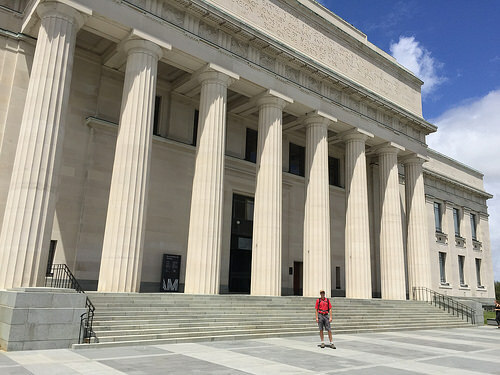 In my opinion, the Auckland War Memorial Museum is a must-see and not only for it’s neoclassical architecture. It’s here you’ll see a the largest and most impressive collection of Maori treasures in the world! The entire Ground Floor is devoted to Maori history. You could spend hours on this level alone. Its incredibly atmospheric. Although a large group tour, the Mitai tours are very popular and will introduce you to a spiritual and authentic journey into Maori culture where you’ll be treated to an authentic Hangi dinner and a cultural evening show. If you wish to extend your cultural experience, we recommend the Ohinemutu Tour which takes place in the late afternoon, before the Mitai tour. 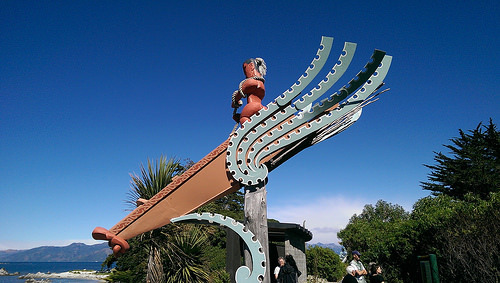 The Ohinemutu Tour is a guided walk through an historic Maori Village along the lakeside. View more details here. Long Island Tours NZ provides 2 Maori tours – a group tour and a private tour. Accompanied by a Maori guide, visitors get to meet the Ngati Kahungunu people who will tell their stories of myths and legends. Visitors will receive a Maori welcome (Powhiri) onto the marae. The 2nd option is a private tour designed according to the visitors special cultural interests. After a spiritual welcome, you’ll get to speak directly with Maori and enjoy their music and sense of fun. On this tour you will gain a deeper understanding of the strong connection Maori have to the land and and their whakapapa (lineage). View more details here. 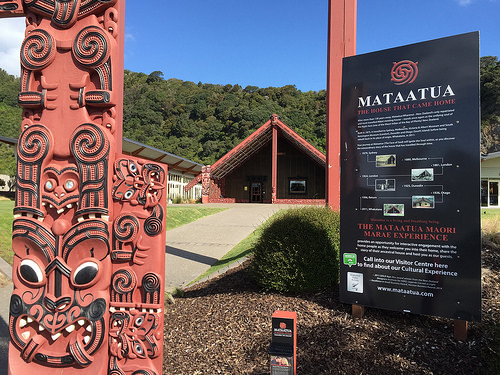 The Mataatua Maori Marae experience is an interactive tour that begins by introducing Maori protocol in a welcoming environment. For 2 hours visitors get to use all senses, a definite highlight being an incredible atmospheric digital light-show in the meeting house which incorporates history, architecture, and technology. A Hangi option is also available.View more details here. This is a family operated small group tour with ‘heart’. It has an interactive element and it’s a lot of fun. 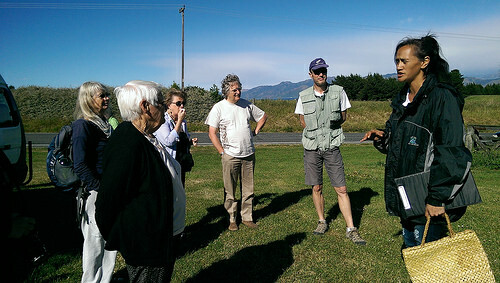 The tour includes a comfortable drive to and around historical Maori locations, a spine-tingling welcome overlooking a beautiful Kaikoura vista, an introduction to flax weaving and a forest tour and commentary on traditional Maori medicine. A definite highlight is the generous refreshment stop at a private house with Maori hosts. It’s heart-warming stuff with plenty of song. View more details here. Ko Tane is the South Island’s only Maori cultural performance and Hangi. 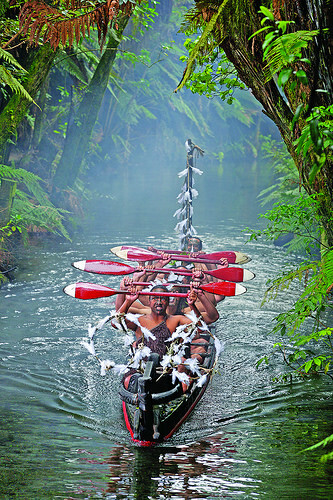 On this tour, visitors will get a unique snapshot into the way of life of the South Island Ngai Tahu Maori people before the arrival of the Europeans. This is an interactive tour where men are invited to join the haka and the women, the poi dance. One of the tour options includes a hangi. View more details here. Kiwi Haka Queenstown consists of a Maori Cultural Show performed at the top of the gondola overlooking Queenstown. You’ll be taken on a journey of mythical legends and given a brief view into a world of Maori spirituality and history as shown through traditional song & dance, haka and poi display. View more details here. If you’re looking for more truly authentic Maori Cultural tours in New Zealand, with a private guide, the prices will be significantly higher than the tours providing a ‘taster’ for the mass market. An in-depth Maori experience often takes place at smaller local Maraes found throughout New Zealand. Often your accommodation hosts will be able to point them out and get you access to the tribe and one of its representatives to arrange a more traditional and personalised experience.